Thun Castle was built in the 12th century, today houses the Thun Castle museum, and is a Swiss heritage site of national significance. The castle museum is housed in the five floors of the tower, and includes cultural and historic displays showing the development of the region over some 4,000 years. 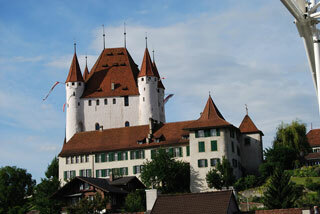 This article uses material from the Wikipedia article "Thun Castle", which is released under the Creative Commons Attribution-Share-Alike 3.0 License.